When setting up a business in Hong Kong, one needs to be aware of how consumers trust each industries and their spokespersons. 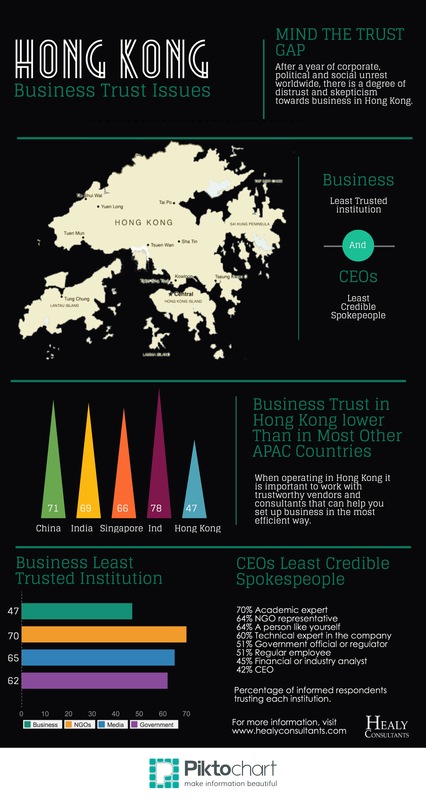 Over the years, Hong Kong has experienced a trust gap and it is important to work with credible and capable vendors and consultants when setting up companies there. Healy Consultants Group PLC understands Hong Kong and has been helping businesses in this area.